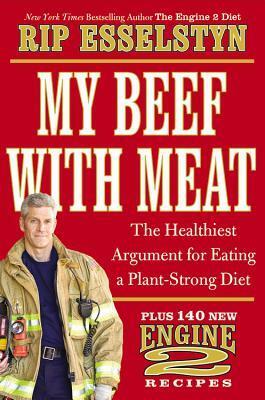 Sign into Goodreads to see if any of your friends have read My Beef with Meat. 45.36% ""All the meat looks gross and bloody and they cut off the heads and I don't want people to kill the 'aminals' because the 'aminals' are nice. I don't get why people eat lambs, and gooses, and cows, and pigs, and chickens, and tigers, and fish." ~Kole Esselstyn, aged 6, as told to his Dad"